Why are you going to grad school? Well, I’ve always wanted to get my Masters degree. Never really found the right program though. Having an undergraduate degree in Theatre, there’s not a lot you can do (outside of acting or teaching). I’ve been a Business Analyst in Corporate America since 2004. And the ONLY reason I got that job is because a friend took a chance on me and gave me my first shot as a BA. He knew I could talk to anyone (necessary skill for a BA) and he knew I could teach myself a lot about computers. That’s it. Yeah…the degree helped only in the sense that for me get the job per the contract, I had to have some sort of degree from a 4 year university. I could have had a degree in underwater basket weaving and that would have qualified. Now, here I am, 14 years and 3 companies later, and I just recently switched from being a Business Analyst to a User Consultant. Bottom line: If I were to ever leave Acxiom (on them, not me. I never want to leave this company), I might not want to work as a BA, which is where the bulk of my experience is. I’ve been able to move from one company to another based on my experience; not my degree. Didn’t matter my degree as long as I was going to be a BA. Adding a Masters degree to the mix will qualify me for other opportunities and not restrict my options to just that of Business Analyst. Which brings us to the next question…. For the past couple of years, I’ve been creating training content for Acxiom. Something that I’ve really enjoyed doing. So, by getting my Masters in a related field, I can potentially open up that career path if needed. So, while on Facebook one day, I saw an ad for University of Arkansas Online. It peaked my interest. 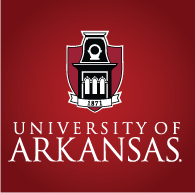 I’ve always wanted to be a Razorback. And now I could possibly be one. I clicked on the link and saw the usual suspects: Masters of Business Administration, Masters of Science in Electrical Engineering, etc. Nothing I was interested in. Then I saw the Masters of Education in Educational Technology. I had no idea what it was, but it had “education” and “technology” in the title and it was completely online so I figured I’d take a look. And boy I’m glad I did. Educational Technology is using tools and devices to teach others. (Very simplistic definition.) Basically, everything I’ve been doing at Acxiom for the past couple of years has been using Educational Technology to train associates at work. I thought, “Perfect. Fits like a glove!” I took that information to my manager to see if she would be cool with me going to graduate school. She said, “That’s totally on you to take on that responsibility, but our team would definitely be strengthened by it. Let me see if it qualifies for the Education Reimbursement program.” Long story short, it does. So, I’m going to graduate school and Acxiom is paying for it. Well…they’re reimbursing me for it. Poh-TAY-toh…Poh-TAH-toh. So…that’s what I’m doing. Embarking upon a crazy 3 year journey to get my Masters. Funny thing…back when I was graduating with my undergraduate degree, you had to end each year with an Exit Interview in the Theater Department. On my last exit interview before I graduated, my advisor and mentor, Bob Simpson, told me that if I didn’t go to graduate school, he would “bad mouth me til the day he died.” In his own way, he was trying to encourage me to continue my education. He saw something in me that I didn’t see myself and with additional education, I would be a better actor. I’m sure he’s forgotten about that comment (it has been 19 years and he’s probably had hundreds of students since), but I never have. So…Bob…I’m finally going to graduate school…just probably not the way (or field) you meant.